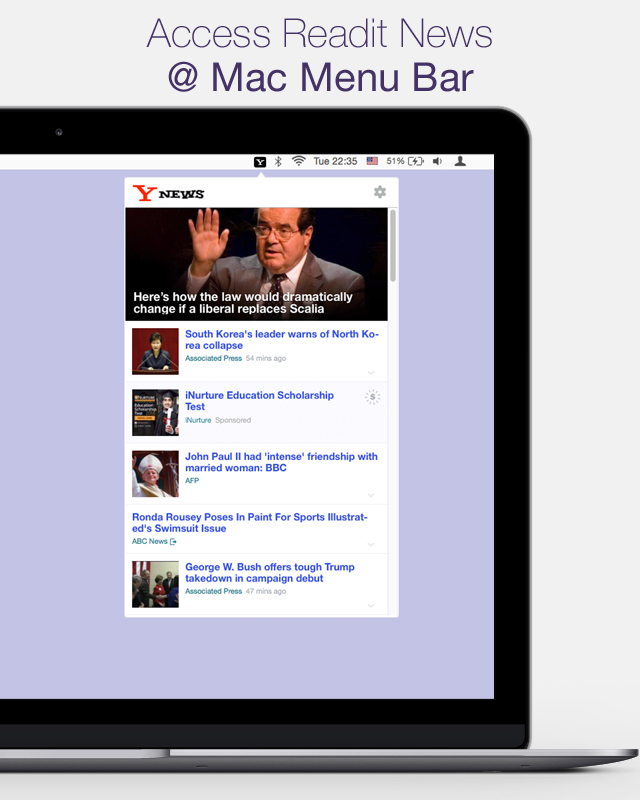 Now you can glance Yahoo News at your finger tip. Just click an icon in mac menu bar and glance all important feeds in drop-down window. If any news interests you, just click on it and you can read in browser.